Bandipur National Park or Bandipur wildlife sanctuary is in the state of Karnataka in India. It is declared as a tiger reserve and a tiger reserve under ‘Project Tiger’. 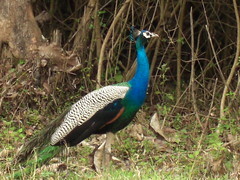 It is one of the most beautiful animal sanctuaries in India. Bandipur Park is spread across around 900 square kilometers in Western Ghats and is home to many of India’s endangered species. Kabini, Moyar and Nugu Rivers enrich the park. 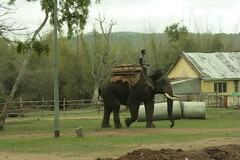 Elephant Safari is available to tourists here which gives a rare view of the wild life from top of this majestic animal. You never know what comes across your safari! This safari may help you to spot the good things in life. Wildlife National Park in Bandipur is rich in flora like teak, rosewood, sandalwood, giant clumping bamboo etc.It is also has many flowering plants, medicinal plants and fruiting trees and shrubs. Bandipur Wildlife Sanctuary is rich in Fauna with rare and endangered species of animals like tigers, Indian elephants, four horned antelopes etc. Many species of mammals and butterflies are also found here. Peafowl, grey jungle fowl, drongos, honey buzzards, Indian vultures, red headed vultures, changeable hawk eagles, crested serpent eagles are are among the 200 species of birds found among the Bandipur birds. Reptile species include Indian rock pythons, vipers, spectacled cobra, muggers, monitor lizards, Indian pond terrapin, Indian chameleon, flying lizards. Many ant species are found in Bandipur Wildlife Sanctuary. Unlike other Wildlife Sanctuaries, there are no human settlement inside the Bandipur wildlife sanctuary. Waynad Sanctuary, Mudumalai National Park and Nagarhole National Park are nearby wildlife sanctuaries to Bandipur National Park. These three parks together with Bandipur National Park forms the “Nilgiri Biosphere Reserve“, largest such biosphere in India. National Park Bandipur is around 80 Kilometers from Mysore towards Ooty. As tourist vehicles hit a lot of wild animals, there is a ban on travel by vehicle at night.